Auto lockout is the most stressful experience for a car owner. There are many different reasons for this situation, sometimes you lost your key or other times it broke into the lock. It is also possible that someone stole your keys and you have to face this problem. But no need to fret, We at KTROADSIDE offer the best-in-class car lockout services in Broward. How We do this job? As soon as you realize that you are facing a car lockout problem then just give us a call and explain your situation in detail. Our skilled staff with reach at your location and then start unlocking your car. They use two main tools to handle this situation. One is Slim jim and second is a wedge. 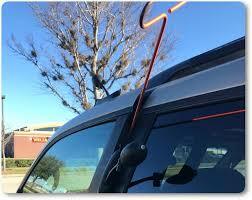 The slim jim is an effective tool for opening a locked vehicle when the car has upright style locks. If it has other kinds of locks, then our technical car staff would like to use wedges. They vary in size and shape depend on the model and make of your vehicle. The good thing about this tool is that it will open your car lock without causing any kind of harm. Auto lockout situation is very annoying especially when you have to go to your office or home on time. We will offer you a helping hand in this stressful situation. We guarantee the quality service and quick response time of fewer than 30 minutes. Our technical staff will approach you as quickly as they can. They will start unlocking the car in a speedy way, so you can get back to your normal routine in no time. As soon as you encounter this problem, give us a call, don’t waste your time in searching for car lockout service near me; just save our number and let us handle this tiresome job for you. People get frustrated on the road when they face the Auto lockout situation. They don’t want to get an Auto lockout service nearby, because they have a misconception that this service could cause harm to their expensive vehicle. It is a completely wrong concept which one must have to correct. If you hire RT RoadSIDE mobile tire service, Broward, then we will send you the skilled staff to deal with your situation. They have years of experience in dealing with a wide variety of car lockout problems. So, don’t feel stress on the road. Give us a call and we will make things right for you. KT ROADSIDE has been helping people on their mobile tire repair, lockout and change services for more than a decade. Our team like to help people. They feel great when they provide a solution for car related problems to their customers. They have served thousands of customers with car lockout service Fort Lauderdale. Therefore, they are capable enough to deal with different kinds of car makes and models. Every car has a different lock style and design, therefore it is important to unlock its lock in a tricky way. We know how to handle various car models in an efficient manner. Don’t feel stuck on the road, give us a call and avail our world-class Car lockout service, Broward.